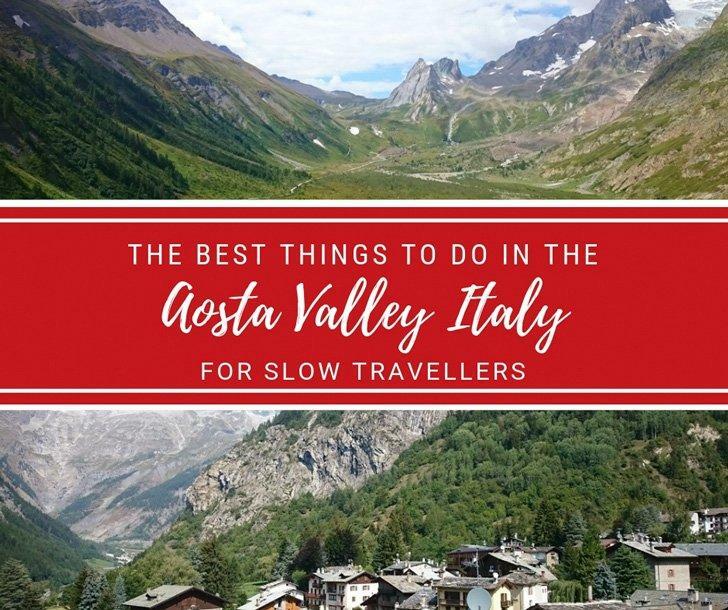 Situated in the most northern corner of Italy, the Aosta Valley is a peaceful, stunningly beautiful area nestled amongst the Italian Alps. The region is steeped in history and tradition, is one of the quietest parts of the country, and is a mecca for those who love the great outdoors. 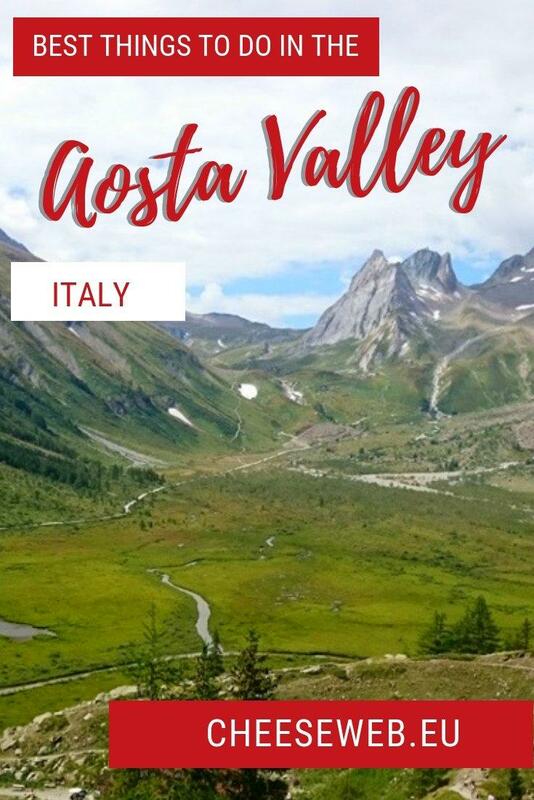 The Aosta Valley (Valle d’Aosta in Italian or Val d’Aoste in French) is the smallest and least populated region in Italy. It is an autonomous region tucked between France, Switzerland, and the Piedmont region of Italy. The official languages are Italian and French with a commonly spoken dialect called Valdôtain. 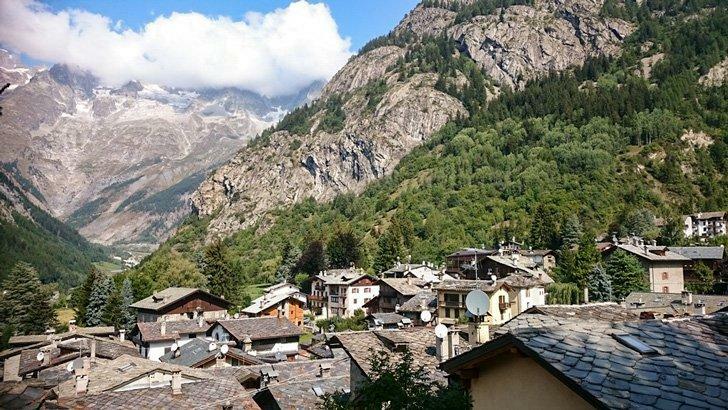 Dotted throughout the Aosta region are ancient villages. I am staying in Courmayeur, the most northerly in the Valley. The villages retain a rustic charm, and I adore the sympathetic and traditional chalet design of the houses. There are many genuine old alpine homes, referred to as Baita, with beautiful dry stone and wood wall construction and the distinctive and heavy stone slab roof tiles called Piodi. Many have terraces to enjoy the mountain views. There is not a high rise in sight! You can book a day tour to explore Courmayeur from Milan or, better yet, check the best rates on accommodations in Courmayeur so you can stay longer. 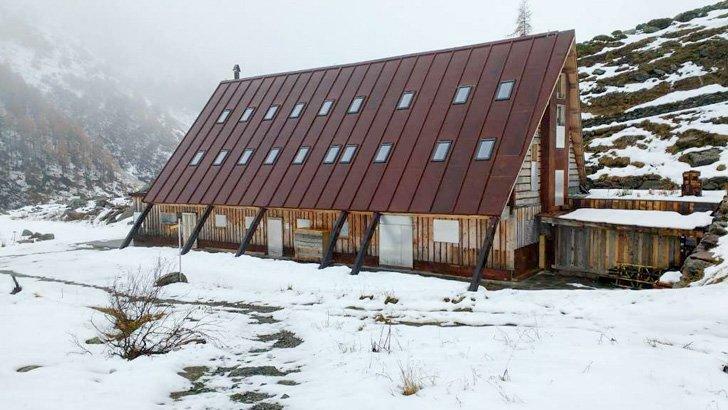 Traditional Alpine Chalets in the Aosta Valley, Italy, with their distinctive Piodi heavy slab roof tiles – perfect for those harsh winters! 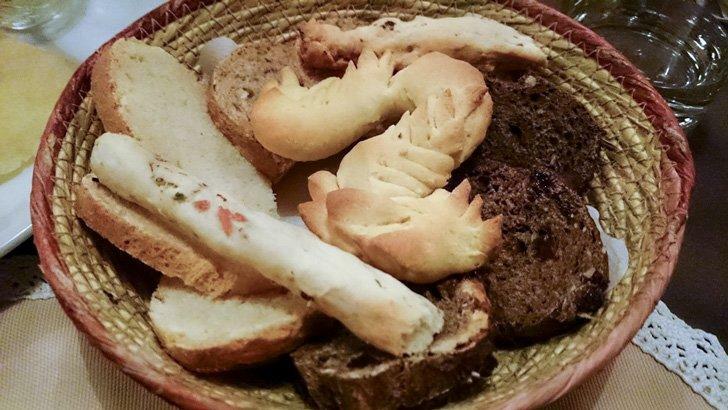 Unlike most other parts of the country, in the Aosta Valley, the traditional foods are not pasta and pizza, although these days those are still a big part of the menu in many restaurants. The locals used what was readily available in the region, what would provide a good energy boost for working in the mountainous conditions and also what could be easily preserved during the long and harsh winters. This means the focus of Aosta Valley’s cuisine is on beef stews, hearty soups, polenta, cheeses, and bread. Black bread is a simple but delicious staple, made with just wheat and rye flour, some yeast and water. The magic is all in the kneading and raising of the dough. This bread is, these days, generally served fresh, but in days gone by, it was perfect for preserving so it could be used well into the harsh winter. It would then be dipped into stews and soups to soften it. I love it when walnuts and raisins are added, and it is eaten with warm chestnuts and local honey – delicious. In October there is an annual festival Lo Pan Ner, and the traditional stone ovens are fired up in the villages across the valley to bake the bread. Another local specialty is the semi-soft and super flavoursome Fontina Cheese. 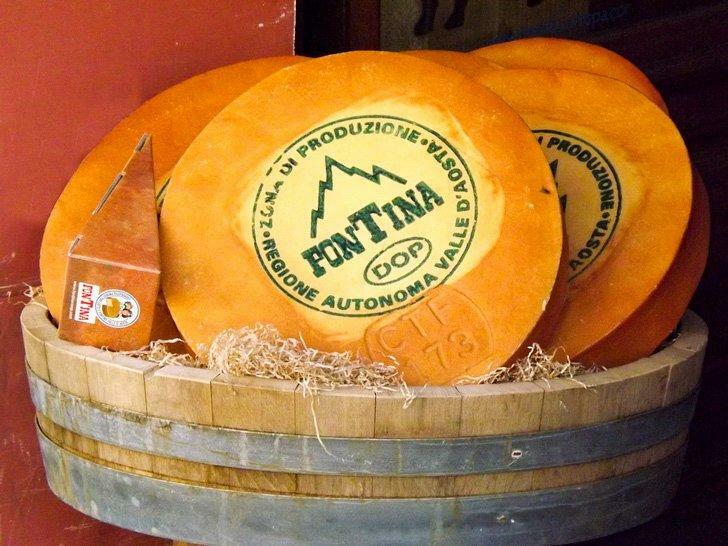 It has PDO Status so it can only be produced in the Aosta Valley region. Made from the unpasteurized milk of alpine cows it has a distinctive nutty flavour and goes perfectly with Pan Ner and some local cured meats. Learn more about the cuisine of the Aosta Valley at a cooking class or on a market tour with a local! 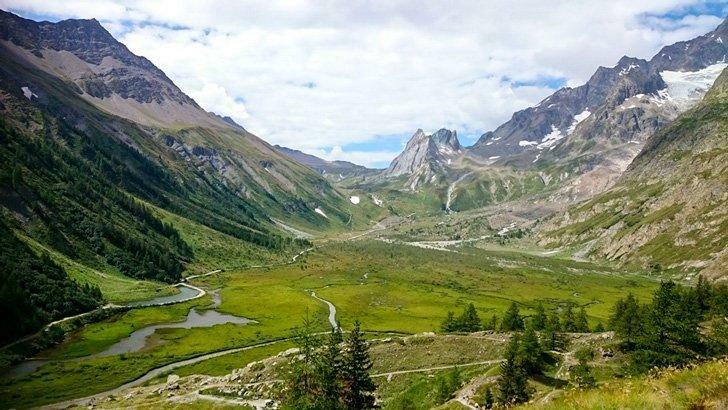 The Aosta Valley is a hikers and climbers delight. There are hundreds of hiking trails across the Valley. If you are not a seasoned walker, then this day trip will be ideal. Val Veny is situated within the Mont Blanc Massif. The views of Mont Blanc are fantastic. If you park near the Hobo Campsite, there is an easy walk that should only take three to four hours to complete. 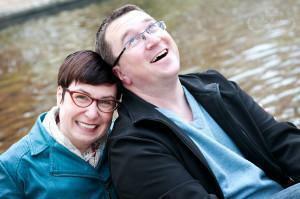 Pack a picnic and head off up the path towards Lake Combal. After walking along a tree-lined path on a gradual incline, you will be rewarded by absolutely magnificent views as the valley opens up. During the summer the colours are awe-inspiring. You have the crystal clear, ever-changing shades of the glacial river, the purples of the heather and the green of the hillside. Add an extra half hour onto the walk by hiking up to Lago Miage, a glacial lake that changes size and colour depending on the time of the year (it is best seen at the start of the summer season). Take care when walking around the lake perimeter as ice melt can break off and be hazardous. You can extend the trip by walking further into the glacier too. During the winter months, access to the Valley is only on skis. For more seasoned hikers looking to make a holiday of it, you may wish to consider the TMB (Tour of Mont Blanc). It can be very busy in the summer. It is one of the most popular long-distance walking trails in Europe, so booking accommodation far enough in advance is essential. The mountain huts are often basic, with shared dorms and bathrooms. You mustn’t book expecting luxury! The trek takes typically between 10 and 12 days and is roughly 177km (110 miles) long along a lot of steep mountain trails. You pass through France, Italy, and Switzerland and the camaraderie along the way is fantastic. 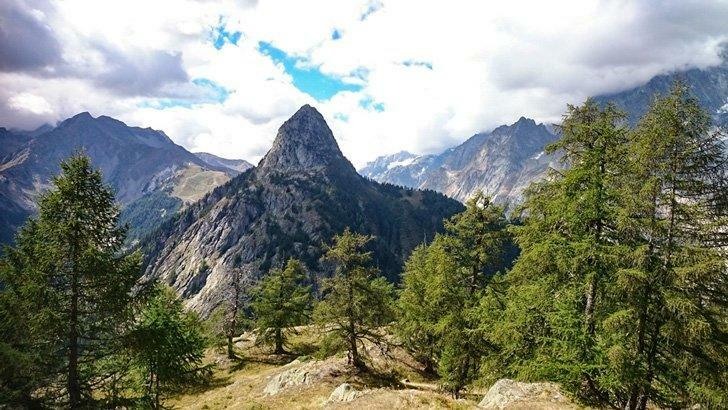 The TMB is usually only walked in the summer months, when the mountain huts are open, from June to mid-September. For hard-core runners, the famous ultra race, the UTMB, takes place in the last week of August or first week of September. Widely regarded as one of the toughest Ultras in the world, only proven long distance runners are allowed to enter, and a high percentage don’t complete the race. At around 170km (106 miles) it is a gruelling test of stamina and spirit. The atmosphere in the area during the race is fantastic with supporters coming out to cheer on the runners. Take the time to visit Chamonix in France to watch the start/end of the race, soak up the festival atmosphere, and marvel at the sheer guts and determination of the athletes. 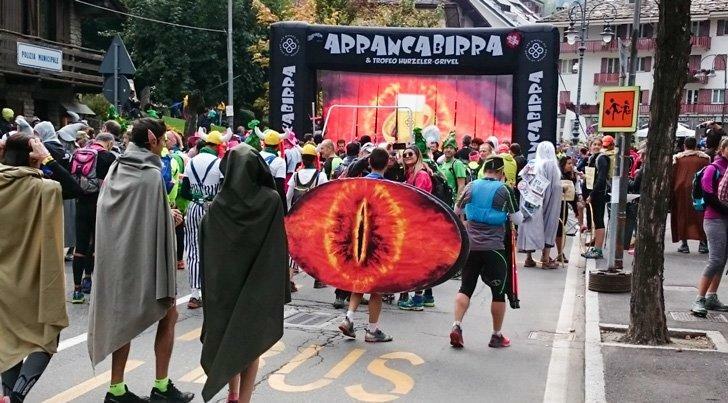 Great fun at the 2018 Arrancabirra Race, with a ‘Lord of the Rings’ fancy dress theme! At the end of the summer season, the famous Arrancabirra race takes place in Courmayeur. This 18km hill race sees competitors wearing fancy dress and having six possible pit stops along the route to stock up on food and have a beer! I was lucky enough to see the runners go over the start line this year. There was a fantastic and fun atmosphere in the village, and some of the competitors went all out with their costumes. How they managed to run in them up the steep, narrow trails, I will never know! This years theme was “Lord of the Rings” so there were a fair few Gandalfs and Hobbits around! 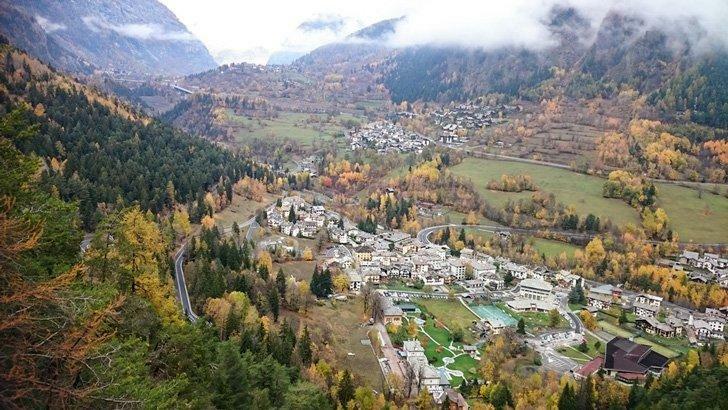 Views down to the picturesque village of Pre-Saint-Didier, home to the famous Thermal Spas. For those of you who enjoy a more relaxing way of life, visit the famous Spa in Pre-Saint-Didier. The thermal waters always flow at a lovely temperature of 36 degrees and they are rich in iron. The Spa has a huge outdoor area with a large jacuzzi pool offering spectacular views of the surrounding mountains. There are over 40 activities available, and a complimentary healthy snack buffet is included in the price. Check Current Prices Here. The Aosta Valley is renowned for its skiing opportunities. 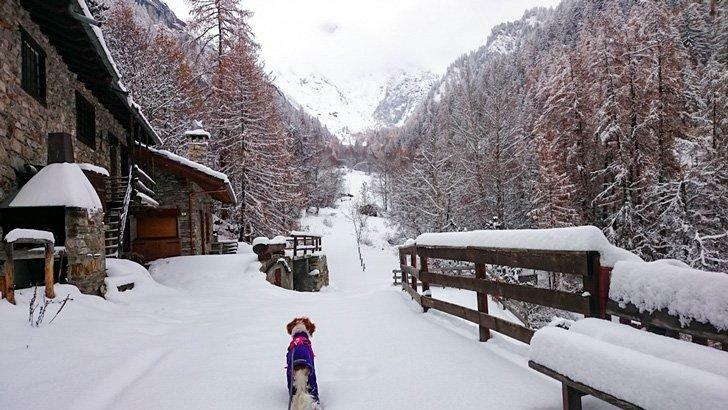 Around Courmayeur is the most popular area. There are a host of cable cars and lifts and the Apres Ski in the area is famed too. It is a popular place for off-piste skiing and Val Ferret, just next to Courmayeur, is known for its cross-country skiing opportunities. On the surface, Gemma may be a walking cliche. The girl in her 40s that, after an unexpected divorce, left behind her established business to travel and find herself….Hopefully, it is not quite as cliched as it sounds. Gemma likes to think of it more as pushing herself out of her comfort zone to gain new and exciting experiences.So, in the Summer of 2018, she packed up her things and headed off into the great unknown with her fantastic little rescue dog Annie.